Look...so you happen to be an enormous, horrifying, prehistoric sea monster awakened and empowered by nuclear radiation. That doesn't mean you can't have a little fun every once in awhile! After all, you're the King of Monsters...and when you work hard, you gotta play hard, amirite? You know what you need? A night out on the town! Sure, it might be hard to find one whose buildings you haven't crushed and whose townspeople you haven't terrorized and otherwise led into a horrifying, terrible death, but you're a man on the move! Just get back in that sea, put one enormous foot in front of the other, and boom! You're practically on another continent already! Maybe call up a few friends - who knows the last time you've hung out with Mothra, Rodan and that joker Anguirus? - and see if they maybe wanna all go in on an AirBnB together. After all, you don't just want to visit a new country! You want to live in it like the locals do...at least before you destroy it and them beyond all recognition! 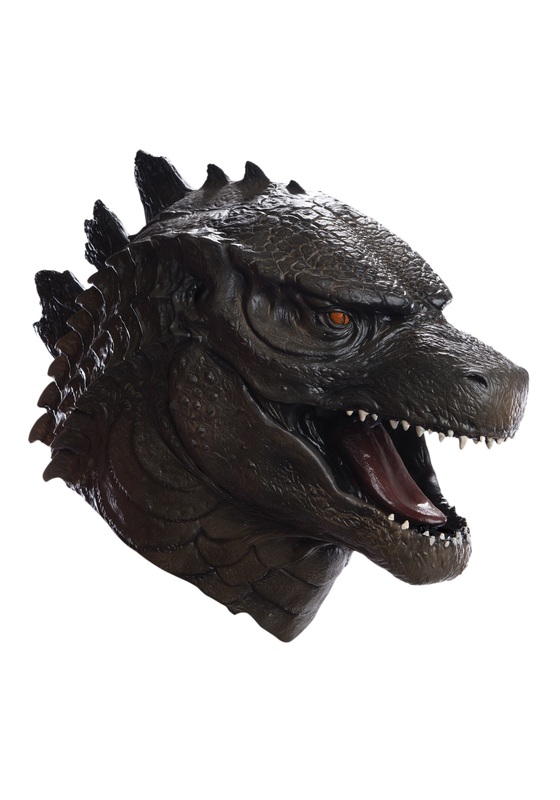 So pull on this Godzilla Deluxe Mask, crank up the Van Halen, and get psyched for another Lost Weekend. You and the boys are going out! Things are gonna get CRAZY! You might even wild out and flatten the central Shinjuku ward of Tokyo for the fourth time! (Don't worry, as their official cultural ambassador, we're sure they'll forgive you again). No matter what, enjoy yourself. You deserve it, big guy!